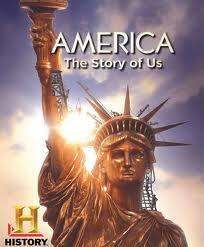 America The Story Of Us FREE! 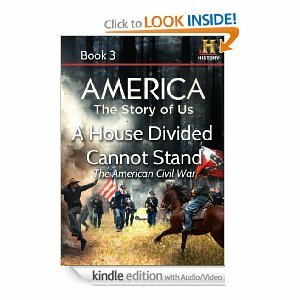 The History Channel released America The Story of Us a couple years ago and today and you can get it FREE right now! “They came for freedom, and they came to get rich. Europeans descend upon the shores of this new opportunity called “America.” Colonies are quickly founded; dissent and insurrection soon follow. And out of this harsh wilderness of opportunity the American rebel and the everyday patriot are born. 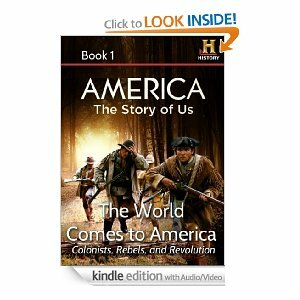 Integrating compelling written narrative with short video clips from the acclaimed HISTORY® series, as well as exclusive production stills, full color maps and charts, and historical images, this enhanced e-book brings the invention of America to life like never before. 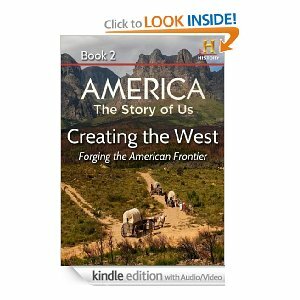 Settlers come from all over the world, from different social classes and for different reasons – some willingly and some against their will. Colonists both learn from and compete with the indigenous tribes who call this land their home. As each European country tries to exploit the commercial possibilities and tighten their claims on the resources and peoples of the New World, a uniquely independent spirit is fostered within the hearts of the colonists, ultimately leading to a revolution that changes the world. Find out how you can read these FREE books right on your computer. 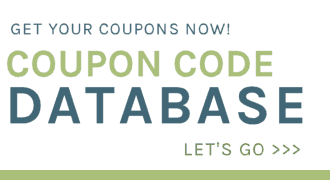 Check out all our Homeschool/Educational freebies here.